(via NASCAR Wire Service) FONTANA, Calif. â€“ Thanks to Cole Custer, Kyle Busch will have to wait at least one more day. With a determined run to the finish in Saturdayâ€™s Production Alliance Group 300 NASCAR Xfinity Series race at Auto Club Speedway, Custer kept Busch at bay after a restart with 20 laps left and thwarted Buschâ€™s march toward 200 victories across NASCARâ€™s top three national series. In winning for the third time in his career and the first time at his home track, the Ladera Ranch, Calif., native grabbed the lead from Christopher Bell on Lap 132 of 150 and pulled away to beat Busch to the finish by 1.927 seconds, after Busch passed Bell for second on Lap 136. For his part, Busch fell one spot short of win No. 200 after a self-inflicted wound by his pit crew sent the No. 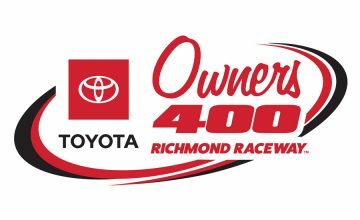 18 Toyota to the back of the field for a restart on Lap 118. Four circuits earlier, under caution, a problem with the jack on the left side of the car cost Busch 10 spots on pit road. But the coup de grace was a penalty for an uncontrolled tire that forced him to restart at the tail end of the field and gave Custer a chance out front in clean air. Once Custer passed Bell for the lead, his No. 00 Stewart-Haas Racing Ford took off. After restarting sixth on Lap 131, Busch, who won the first two stages and led 98 laps, couldnâ€™t match Custerâ€™s speed over the last 20 circuit. â€œLack of grip there at the end,â€� said Busch, who will have his next shot at his 200th win in Sundayâ€™s Auto Club 400 Monster Energy NASCAR Cup Series race (3:30 p.m. ET on FOX, MRN and SiriusXM NASCAR Radio). â€œWe just didnâ€™t have the speed we needed with the No. 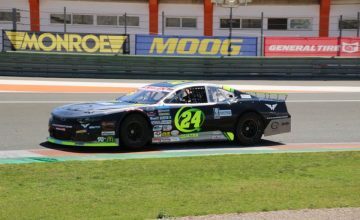 00.
â€œEarlier in the day we were two tenths (of a second) better than some of the guys, and there at the end, we werenâ€™t. It is what it is, I guessâ€¦ Our Supra was fast, just not enough at the end. At the end there, he (Custer) was really good and really fast and had a good car. They got better throughout the day and got closer to our rear bumper there on that second-to-last run before we had our pit road problems and dropped us back in the pack. Bell held third despite fighting handling issues throughout the afternoon. Pole sitter Tyler Reddick recovered from several brushes with the outside wall to run fourth. Chase Briscoe was fifth in the No. 98 Ford. Austin Cindric, Brandon Jones and Ryan Preece all recovered from spins to come home sixth, seventh and eighth, respectively. Justin Allgaier and Justin Haley completed the top 10. Asked how he planned to celebrate the victory, Custer had a ready reply. â€œThis year, I can drink,â€� he quipped. 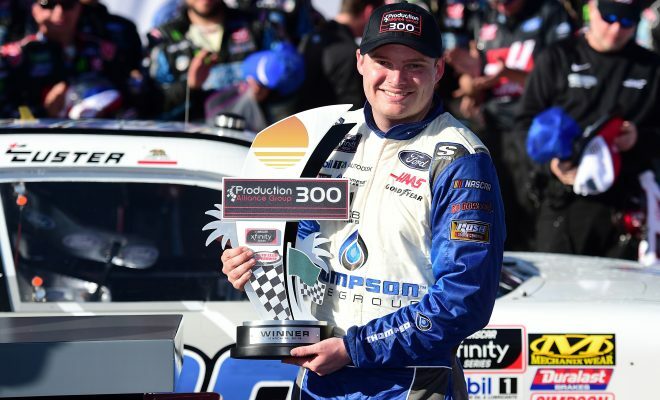 The NASCAR Xfinity Series has a weekend off before heading to Texas Motor Speedway on Saturday, March 30 for the My Bariatric Solutions 300 (1 p.m. ET on FS1, PRN, SiriusXM NASCAR Radio).